My first review last week was for And You Thought There Is Never A Girl Online? 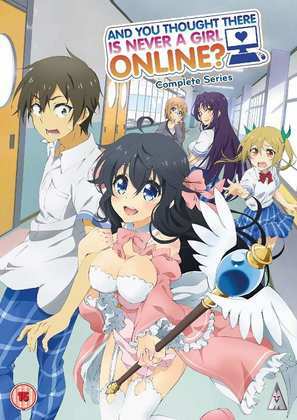 Collection, also known as Netoge. It shouldn’t be, but somehow the fact that both halves of the population like playing computer games has somehow become a cause for controversy. Netoge manages to avoid that, although its male protagonist does get a bit of shock when he learns that the other players in his RPG guild are all girls. The real issue this romantic comedy explores is that of people unable to separate the real world from the game, and the confusion that ensues when one girl is convinced that she’s married to the protagonist in reality as well as the game. Click on the review to read more. I then took another look at Toradora, something I’m always happy to do, although this time it was on Blu-ray. The show looks a treat in high definition, one of the better up-scales I have seen. He’s a thoughtful guy who looks and is treated like a delinquent. She’s a pocket princess with the disposition of a tiger, and neither fits in all that well in school. But they both want to be in love, so they form a pact to support each other in their respective love lives, useful as they’ve both fallen for the others’ best friends. But love never works out the way they expect. Witchblade. Cross-cultural fertilisation is something I really appreciate, but when it comes to US comic book heroes crossing over to anime, it’s a rather unimpressive history. There are a handful of Marvel characters that got forgettable anime outings a few years back, while the recent Batman Ninja movie was an interesting but bizarre outing for the Dark Knight. 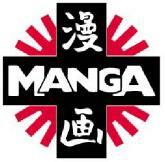 But one time that it did work was when Top Cow teamed up with Gonzo to create an anime version of their Witchblade property. One reason it succeeded is that Gonzo had the leeway to just keep the Witchblade concept, ditch all of the comic book characters, and move the story forward in time, to concentrate on the new wielder of the Blade. They then stuck to what they know best, the sci-fi, adventure, comedy, mystery mish-mash that most of their shows presented. Witchblade excelled however by focussing on the relationship between Masane Amaha, holder of the Blade, and her daughter Rihoko, giving the show an emotional strength that Gonzo rarely achieved in other shows. 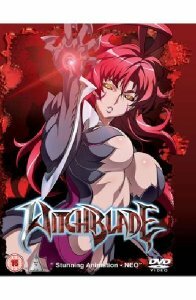 MVM released Witchblade in the UK on single volume releases, and they subsequently offered a complete series collection, which is still available today. I quite liked the show, but for a second opinion, here’s Stuart McLean’s review of the 2009 collection. MVM released And You Thought There Is Never A Girl Online? 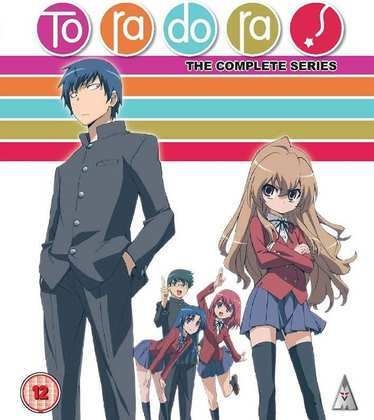 Collection on DVD and Blu-ray on September 10th, while their Toradora Blu-ray came out in 2014.